This page contains additional photos related to the Merck family. Others will be added from time to time. Click on any photo you would like to see enlarged. Use your browser's 'Back' button to return to this page. 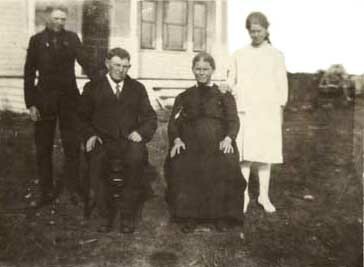 Joseph John (1858-1939) and Katherine Cecilia (Eberle) Merck (1866-1938) are pictured at their home near Karlsruhe in McHenry County, North Dakota. Standing behind are son Joseph and daughter Madeline. 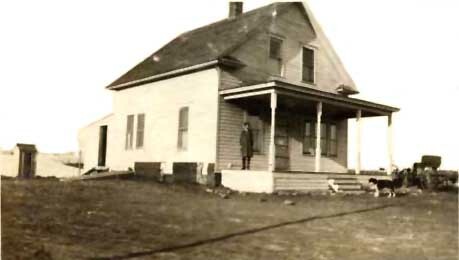 This is the house the Joseph and Katherine Merck family lived in (about 1917-1923) 8 miles SE of Karlsruhe, near Balfour. 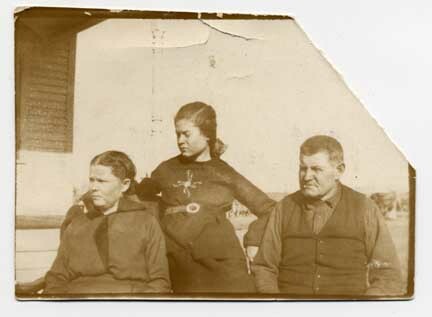 Photo of Katherine, Madeline and Joseph taken in North Dakota. Shortly after, Katherine was hospitalized for about six months for kidney surgery. Photo is unusual because it shows them in profile. 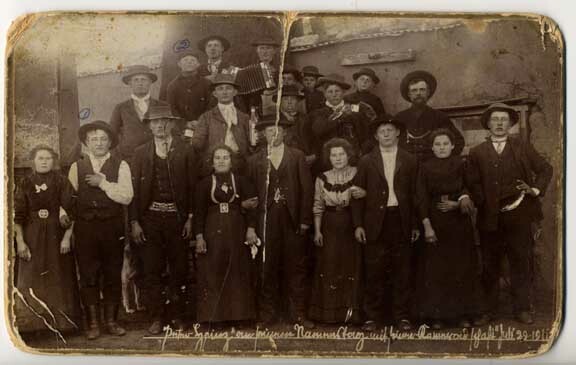 July 29, 1911 is written at the bottom of this party picture taken in Argentina. Felix Merck in black hat is in the front row, third in from the right. Above him, second in from the right in the second row, is his brother Joe Merck. Under the number two ,on the top left of the photo is John Merck. 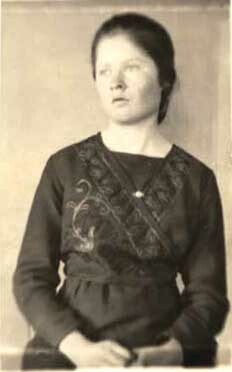 Magdalena (Madeline) (1905-2002) is pictured at age 14. 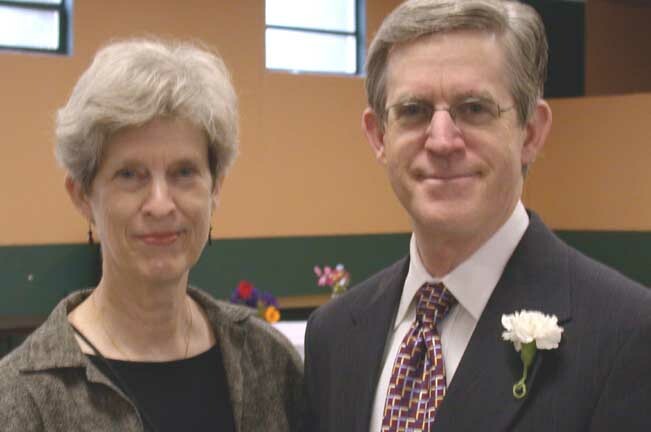 Marilyn and Eugene, daughter and son of Magdalena Merck and Stephen Rosera. family pictured in 1975 in Saskatchewan. Front Row, L to R: Mary, Margaret, Rosa, Katherina. Back Row, L to R: Roy, Sebastian, Bernard, Joe. 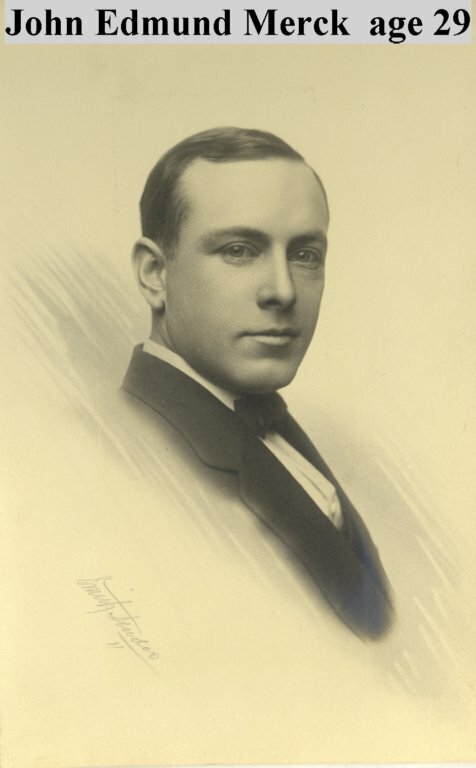 John Edmund Merck (1882-1964) was first generation American after his father emigrated from Schoenenbourg in Alsace, France, to Freeport, Illinois. As his father did, his occupation was owner of a meat market. Josephine Beadte Merck (1885-?) 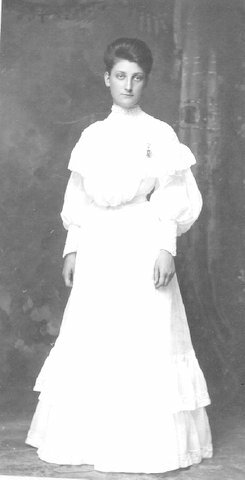 became the wife of John Edmund Merck on April 29, 1912 in Stephenson County, Illinois . Back to Merck Family pages. This page was updated on 12/21/2006.